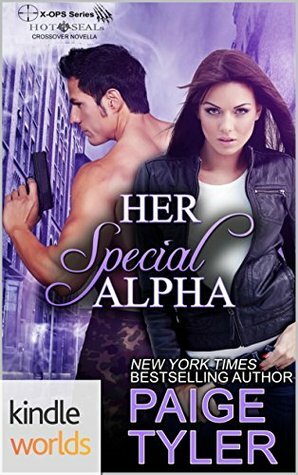 This novella was entertaining, exciting, and enjoyable--everything I've come to expect from Paige Tyler. It gets a little wordy and schmaltzy at times, and I have a hard time believing some of the "meant to be together" dialogue, as it comes off kind of juvenile. But the action in these books is always done well enough to keep your attention. The characters are good, and I liked how well Travis and Eden partner together. You don't get to see much of anyone else, which is a little disappointing, because I would have liked to watch more interaction between Eden and her family, and maybe with some dropped hints that they know she's a feline shifter and still love her... or something. The romance is steamy, but I liked their investigating partnership a little bit more. However, I DO appreciate that these two don't beat around the bush about their attraction or their emotions and jump right to it. The only other complaint is that this e-book was riddled with typos and grammatical errors, like missing pronouns, almost every other paragraph. Otherwise, not a bad read for a boring evening.